An individualized approach to full body mobility that takes you through yoga based movements followed by fascial stretch techniques. An elastic tape system used in the treatment of many sporting injuries and musculoskeletal conditions. Our massage therapists use techniques that reduce muscle tension, relieve aches and pains and aid in injury rehabilitation. 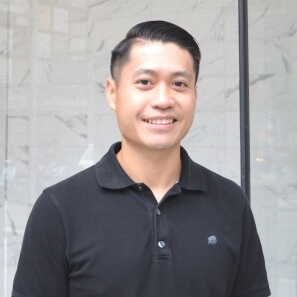 Ben is a graduate of the Centennial College Massage Therapy Program and has been a registered member of the CMTO (College of Massage Therapist Ontario) since 2011. Ben has interest in the clinical and athletic aspects of massage therapy through his background of being a competitive athlete himself. He has worked with a variety of clientele including athletes, seniors, infants, individuals with special needs, palliative patients and health care providers in the hospital setting. Ben’s skill set includes deep tissue, myofascial release, lymphatic drainage, pre-natal massage, rehabilitation massage and sports massage. Ben continues to develop his skill set by completing continuing education courses with a particular focus on myofascial release, sports massage, athletic taping and orthopedic testing. Ben is an athlete himself, he enjoys being active in his spare time doing activities such as going to the gym, playing badminton, running and enjoys doing morning workouts with his friends. In his years of being active Ben has also competed in volleyball in high school, competed in badminton from high school through college and does the occasional races in the city. Ben has won gold and silver in men’s doubles badminton at the OCAA Provincial Championships and had the opportunity to represent Team Ontario where he placed 5th in men’s doubles at CCAA National Championships.